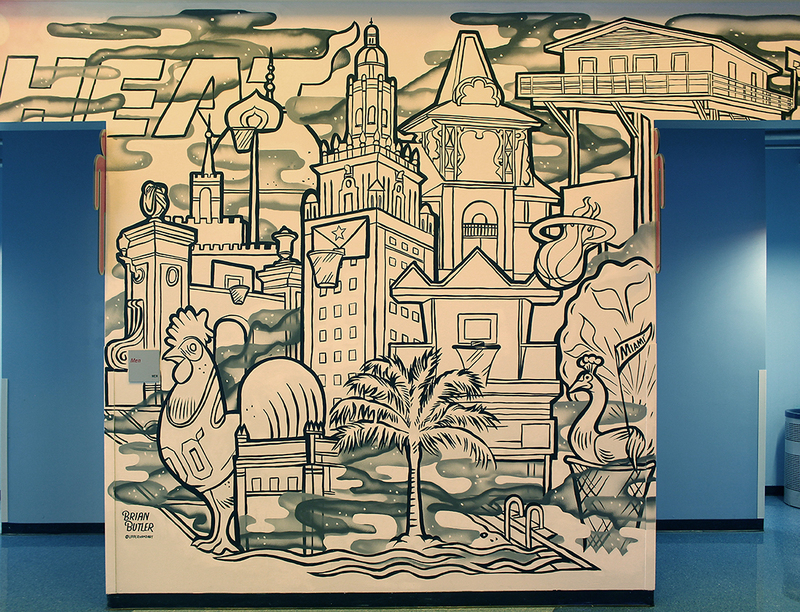 Our biggest “collaboration” yet, we opened this mural up for all passerby to participate in. In conjunction with MLB’s All Star Game Weekend in Miami, Adidas wanted to create an experience around the unveiling of 5 new sneakers & cleats. 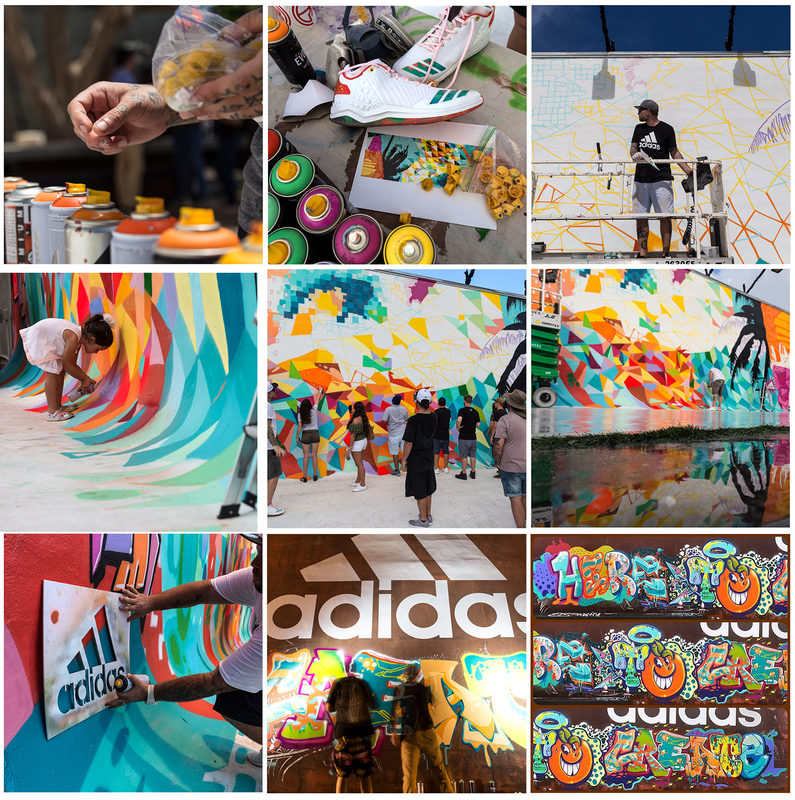 Our job was to create a “Miami-style” mural, for Miamians of all kinds to participate in, as well as a graffiti-style wall with the phrase “Here To Create”, customized displays for the shoes, and hand-painted champagne bottles for the 10 All Stars under Adidas’ wing. Easy. Thanks to MAPS Productions for an amazing venue, Adidas Baseball, Oasis Jae for the stunning photography, Rob & Lauren at Etzel Agency for making it go, and the artists: Quake, Suarezism, Atomik, Pucho, Arive, and Crook. It was an honor. 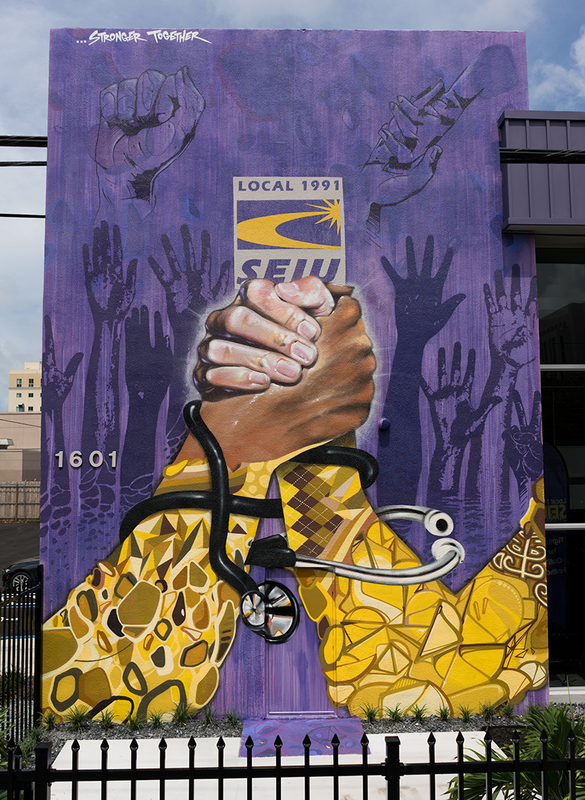 Had a ton of fun painting this one for SEIU, a large union that just opened it’s new Miami headquarters right down the street from Jackson Hospital. Which would make total sense to you if you have ever lived in Miami. 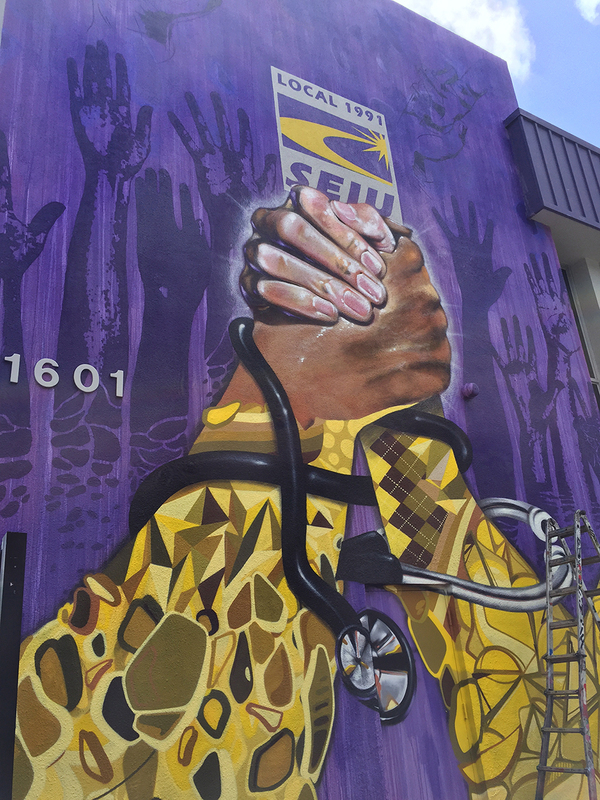 The concept was to show strength, unity, diversity, and compassion (SEIU represents thousands of medical professionals), all in our Miami flavor and in the Union’s signature Purple and Yellow color scheme. 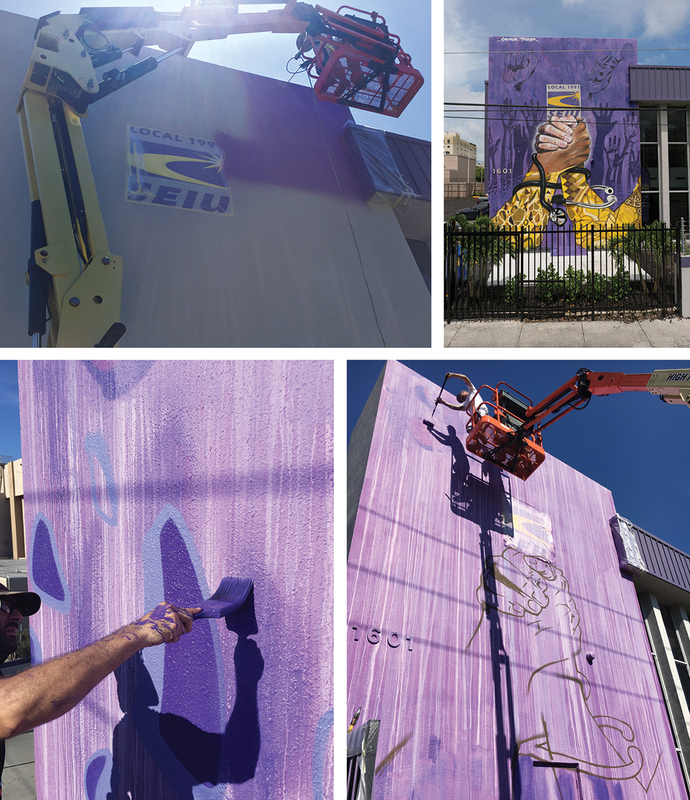 It all started with a crazy wash treatment where we basically poured 6 different shades of watered down violets down the side of the wall from the roof. And that was just our base treatment! Thanks to Quake and Abstrk for getting this one up in a week, Donnie and MSG Concepts for help with the base coating and clear coating, Ray and Elizabeth at SEIU for their input, organizational skills, pics, and company, and of course Martha Baker, head of SEIU 1991 Chapter, for her vision, endless enthusiasm, and continued support throughout the process. Makes these jobs so much easier, thanks all. 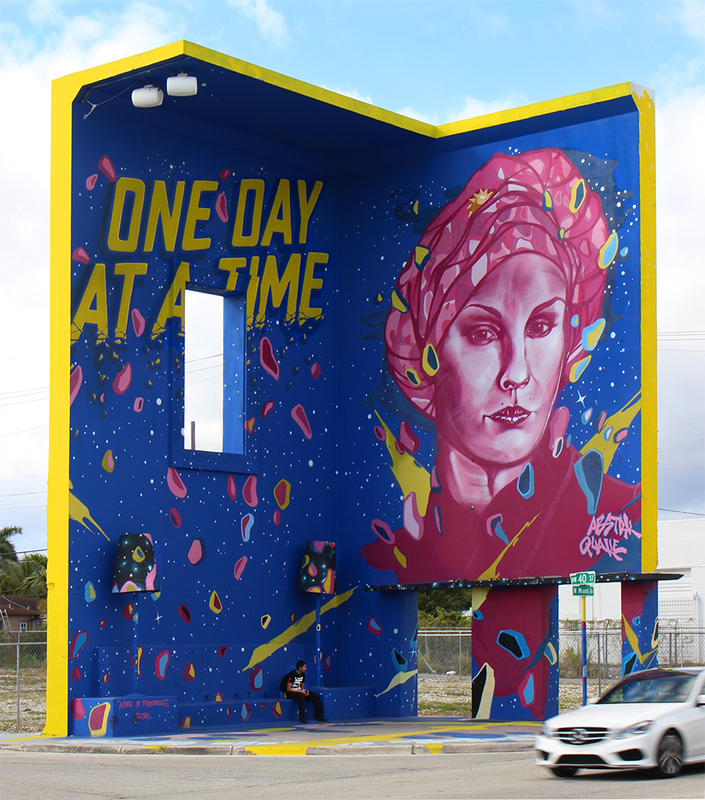 Tall wall in Miami’s Design District dedicated to Angeles, a local woman battling stage 3 cancer. 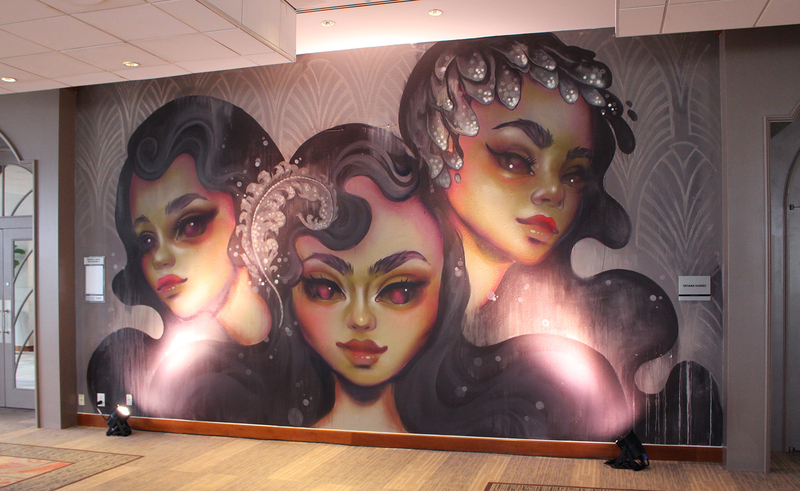 Her strength inspired one of our artists, Abstrk, to put together a GoFundMe campaign to raise funds for this project. It worked, and what you see here is the result. Special thanks to all who lent support, way too may to name here, as well as Angeles who was at the wall day and night for support(!). Also a special thank you to Abstrk for making it all go, Quake for putting together the typography treatment, and to Elissa for supporting the project from Day 1. We hope this wall has a good run on this long neglected property, and brings hope to many others! 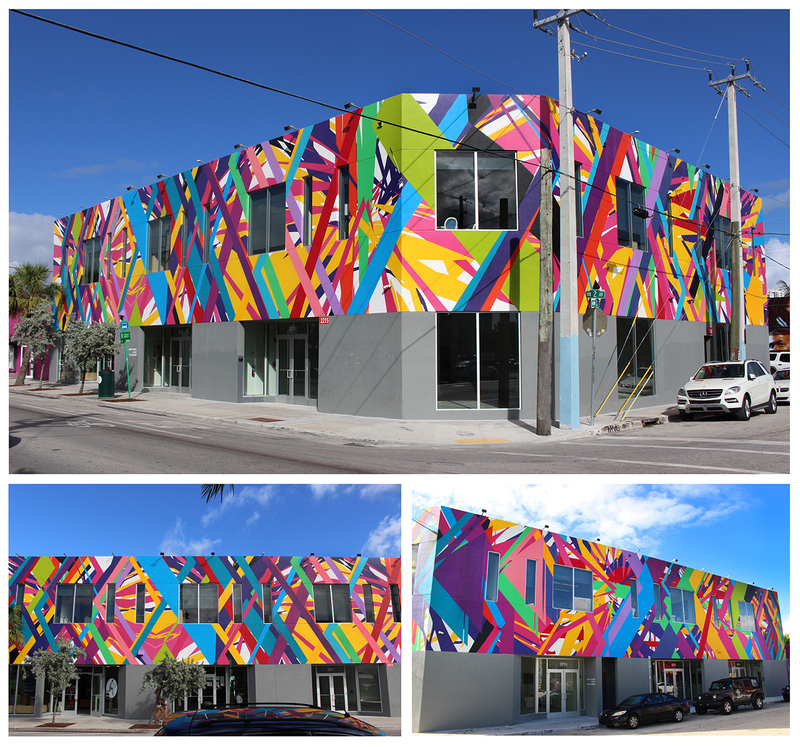 2 man job, re-creating artwork designed by AVAF for a full building treatment on the new Goldman headquarters in Miami’s Wynwood Arts District. 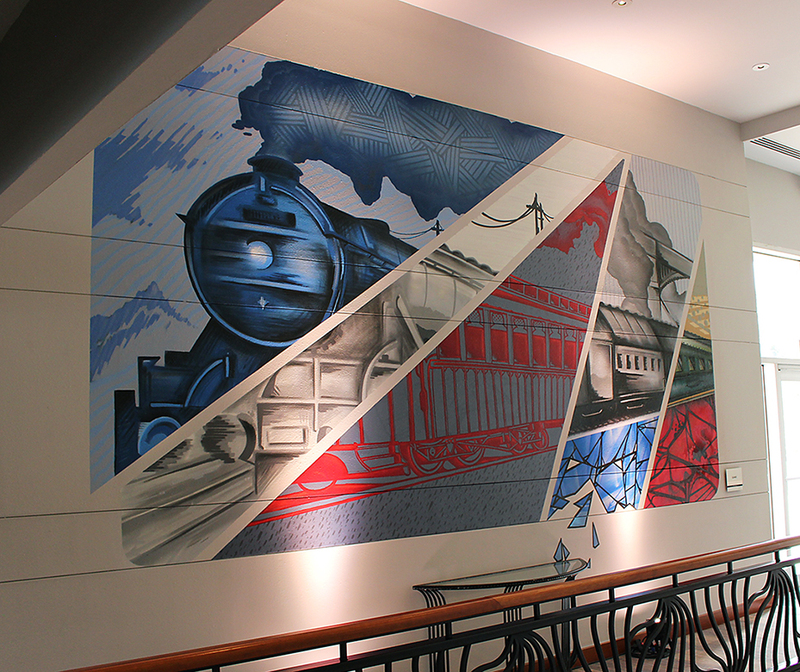 A time consuming process, making sure every line was straight and clean, but the final result speaks for itself. Special thanks to AVAF, and to Rage Johnson & Quake for working around the clock on boom lifts during the warmest time of year! 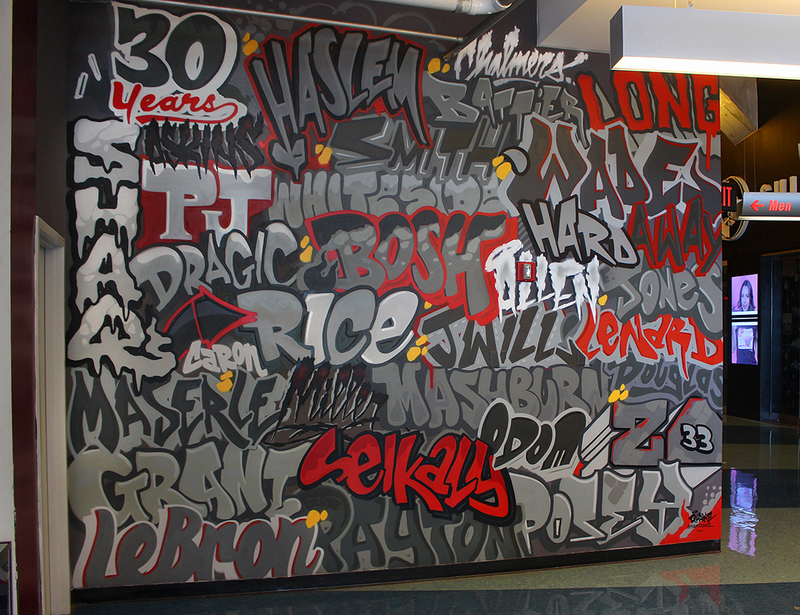 The whole crew came together on this massive Star Wars tribute wall. And in fact, it still wasn’t enough, so we Kickstarted it for some crowd funding. 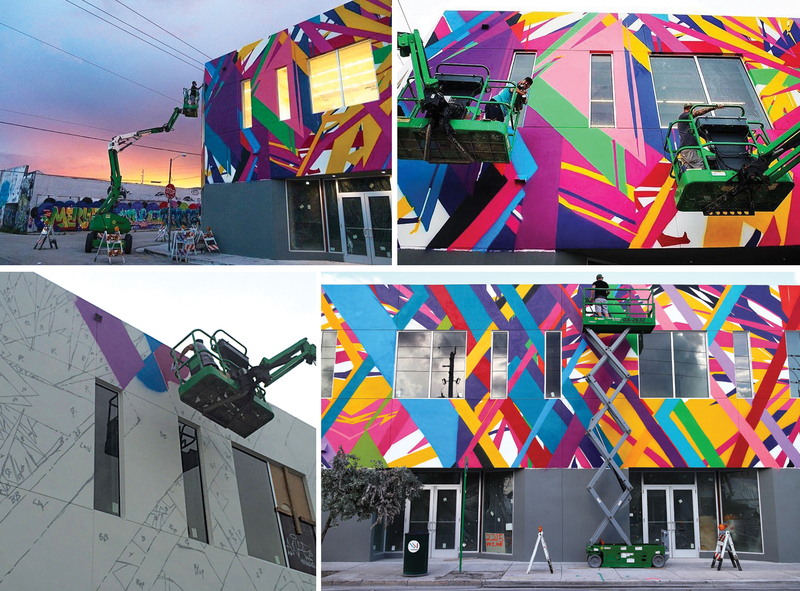 The campaign worked out great, and all of Miami came out to appreciate the endless days and nights of painting in Wynwood’s Arts District. Special thanks to all who participated and/or lent a hand, special limited edition prints went out to all the supporters and we hope to do some Kickstarting again sometime soon! CLICK ON THE TOP IMAGE FOR A FULL VIEW!! Handpainted with spraypaint at MODA in North Bay Village, Miami. 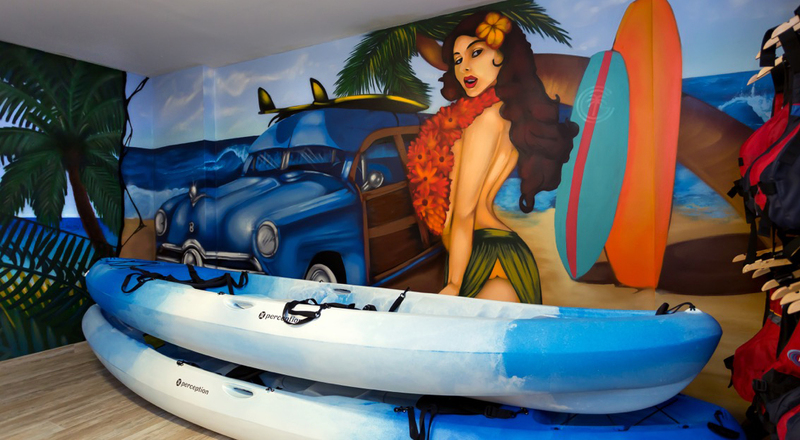 Fun surf and ocean references, painted by our guys Quake and Bluze. Special thanks to Brett for having a cool vision! 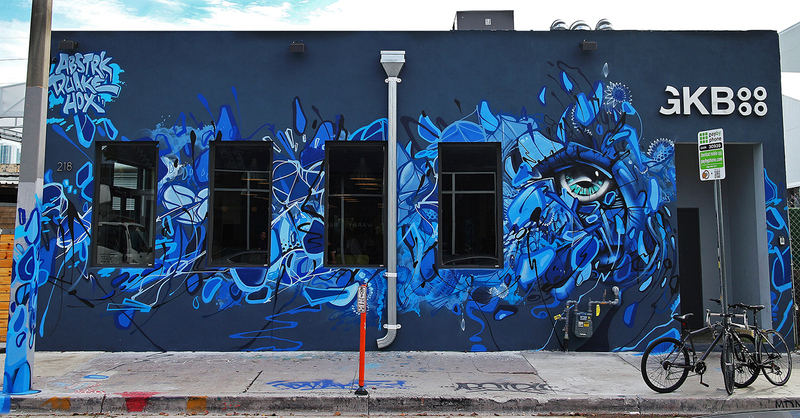 Another quick painted mural in the heart of the Wynwood Arts District in Miami. 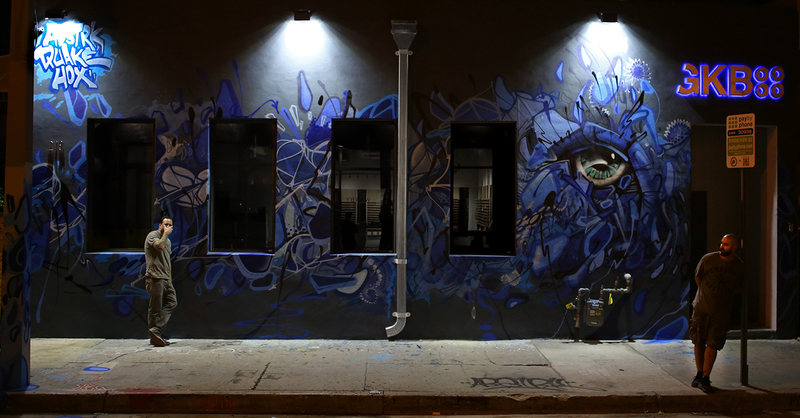 A study in blue by Abstrk, Quake, and Hoxxoh. Special thanks to Chef Leo for reaching out! 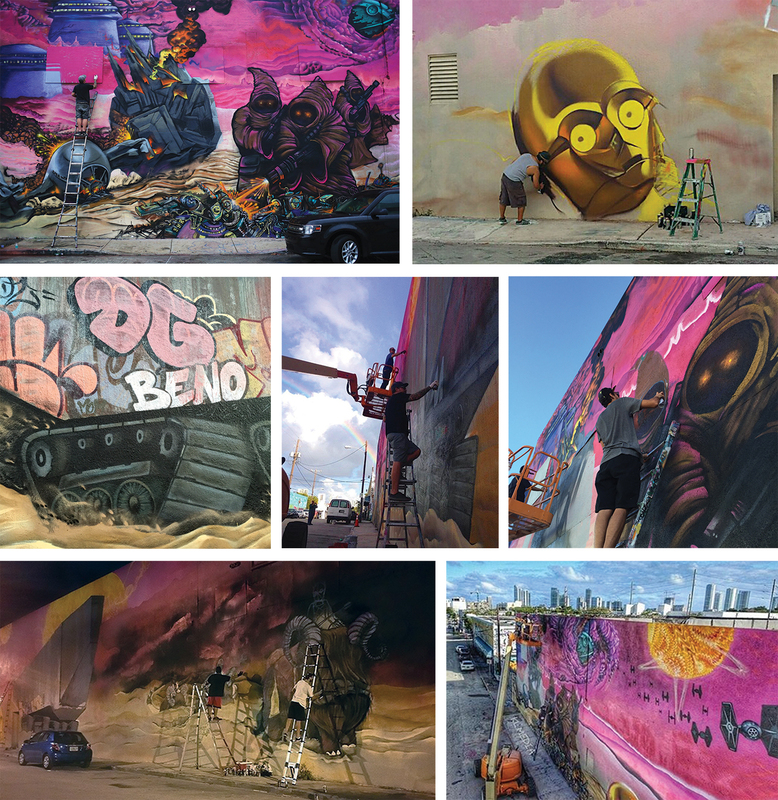 The Cushy Gigs Crew was selected by Broward County for a mural grant as part of the exciting Broward 100 project, celebrating the county’s centennial with a mural in each of its cities. 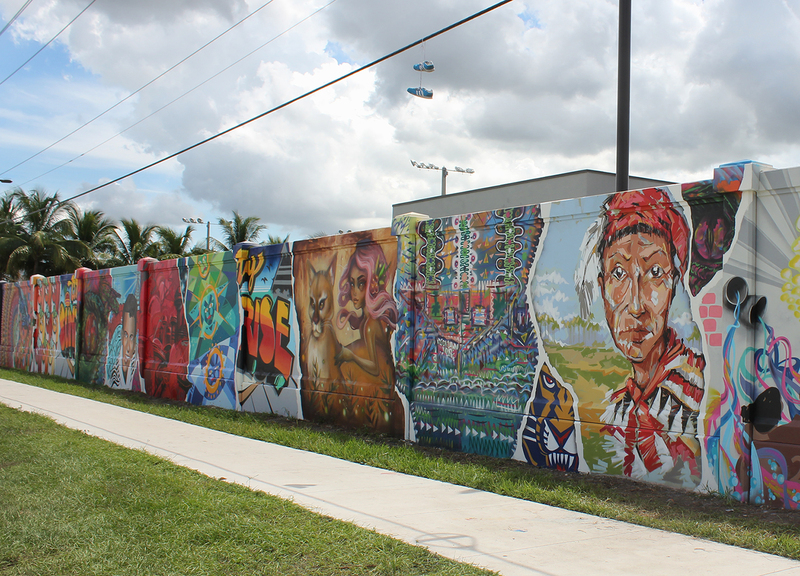 We were assigned to paint in the City of Sunrise, an extremely rewarding experience, as both city officials and Sunrise citizens responded with overwhelming enthusiasm for the project. 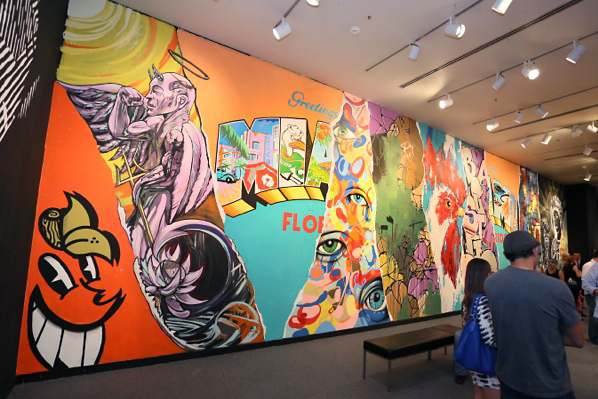 The enthusiasm rubbed off, plenty of research was done, and the artists all brought their Sunrise inspired themes to one amazing collage-style wall. 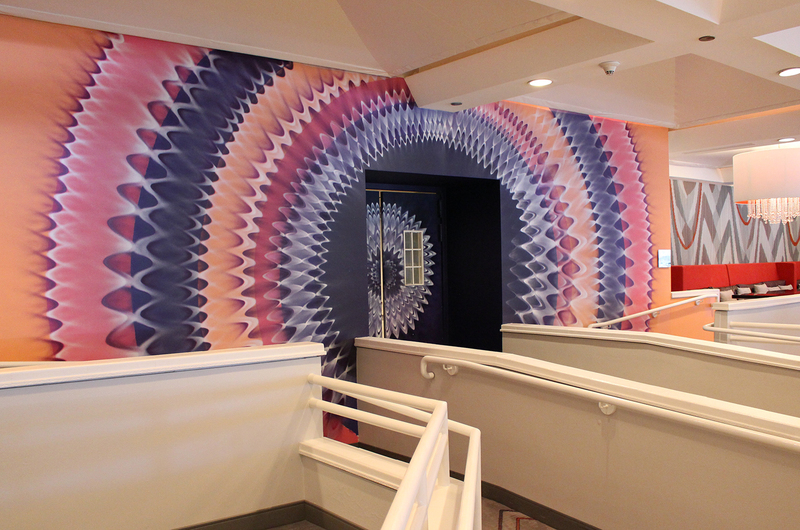 A special thank you to Leslie Fordham, Beth Zickar, Rosemarie Marco, Christine Pfeiffer, and Jill Weisberg for their hand in navigating through the red tape, as well as all of our artists that were involved: (in order) Hoxxoh, Abstrk, Atomik, Astre74, Angel Five, Erin O’Dea, Quake, Max Arive, Tati Suarez, Brandon Opalka, Luis Berros, & Rage Johnson. 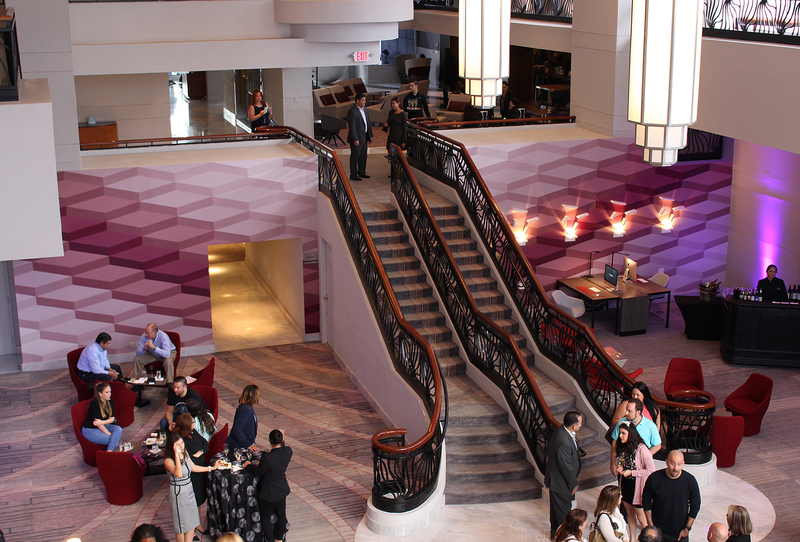 The piece is aptly titled “Welcome To Sunrise”….To be continued! Click Top Image For Full View. 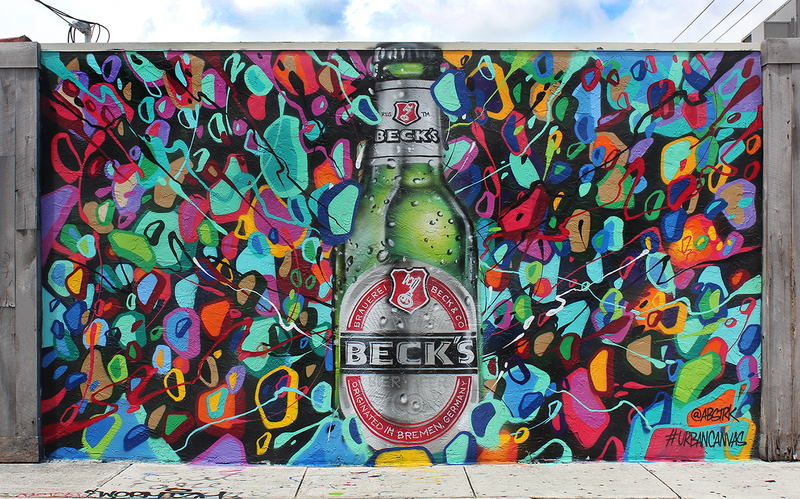 Painted in Wynwood’s Arts District as part of the Beck’s Urban Canvas campaign. One of our artists, Abstrk, took care of the colorful and creative side, and Quake helped put together the bottle. 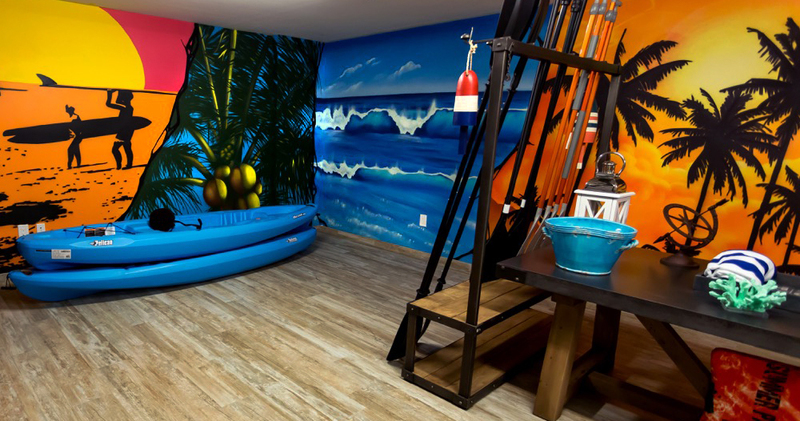 We painted the wall completely with spraypaint, no stencils, as is our custom! 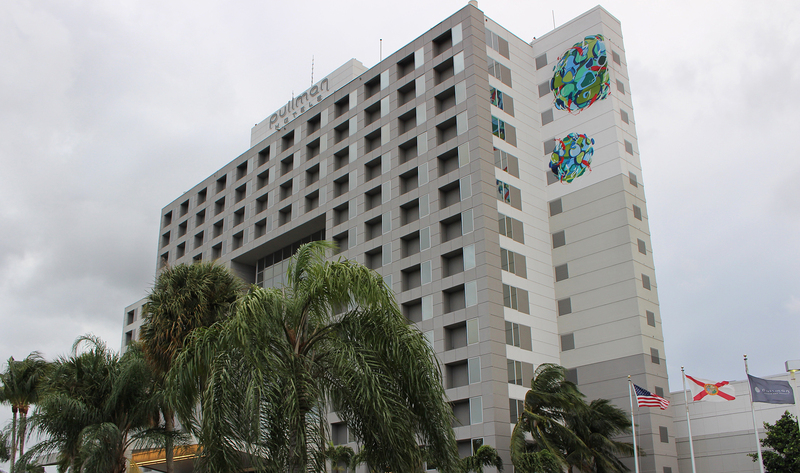 Great project for the new DLA wing at the Federal Reserve Building in Doral, FL. Three themes: Movie Quotes, Multi-Cultural, and Comic / Anime Art. 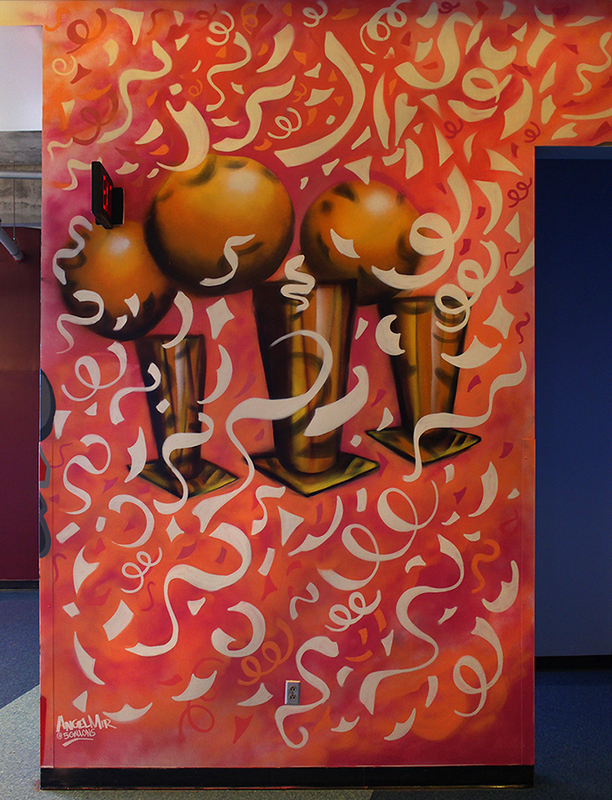 Two of our artists, Quake and Abstrk explored these themes, and also painted 5 of the columns as well as the inner & outer ring. 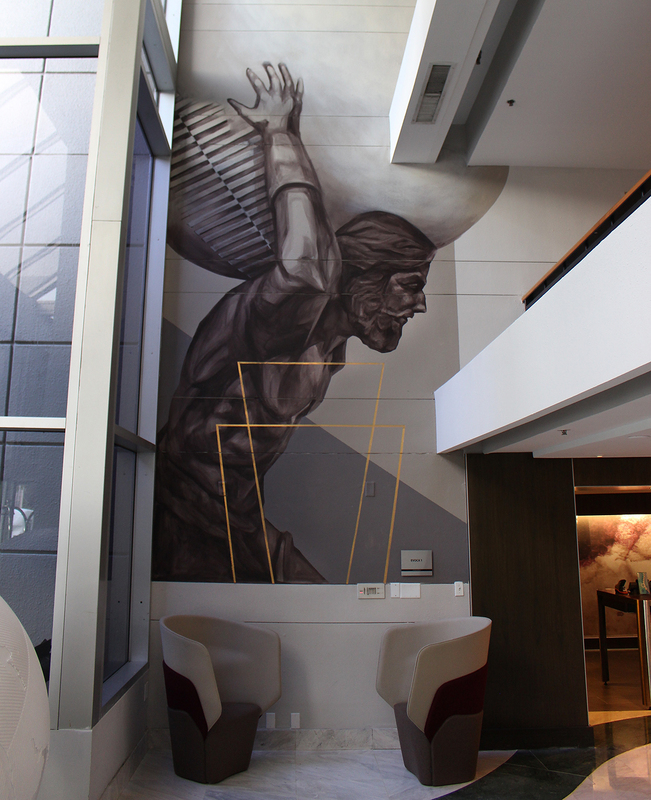 We definitely felt like we created an energizing mood and environment in an indoor working atmosphere. Amazing to work with the fine people at G. Alvarez Studio, who were in charge of the architectural planning of the interior space. Looking forward to more stuff like this. Special thanks to Antonio, Diana, and Gigi, for all their help and support. 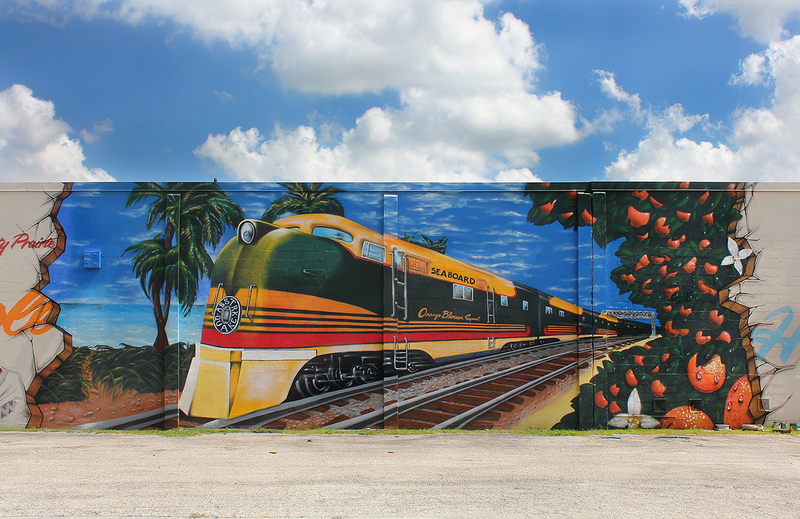 Hand painted mural in Hialeah, FL, just 200 feet from where the old Orange Blossom Special used to run back in the 30′s. 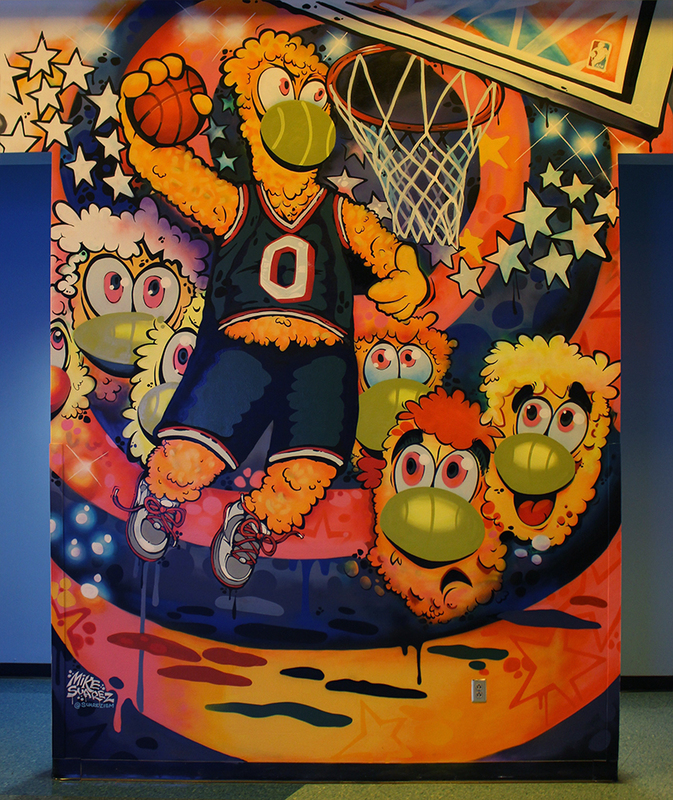 Based off an old postcard we found and brought to life at about 25 ft x 60 ft. Special thanks to Abstrk and Quake for a job well done! 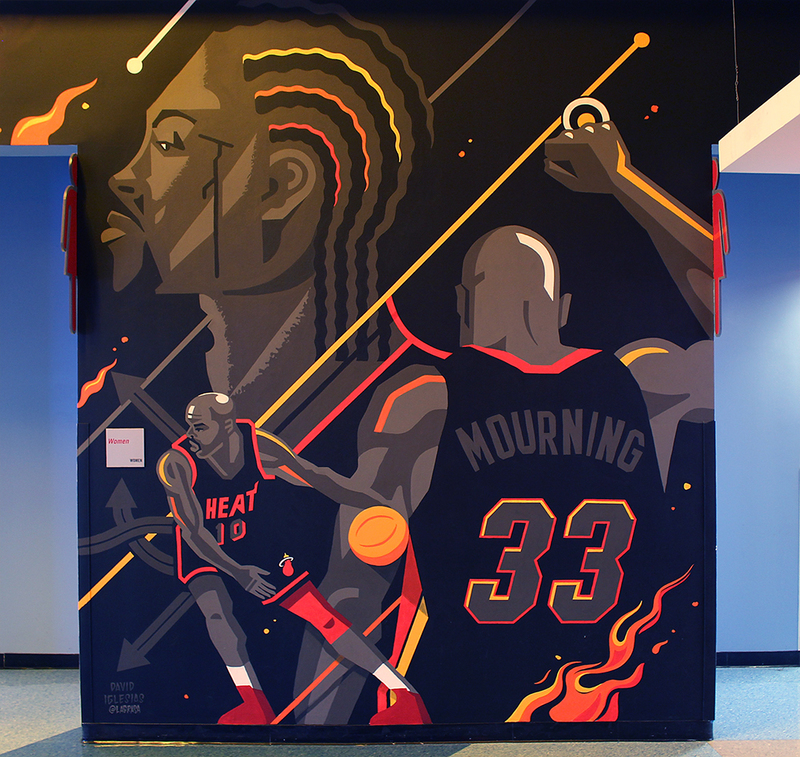 Painted this logo-based mural in about 5 hours for a new Sneaker Boutique opening in the Wynwood Arts District in Miami, FL. A ton of fun things to paint over and on top of! Special thanks to Atomik, Quake, and Nick and Frank at Sneak Attack. 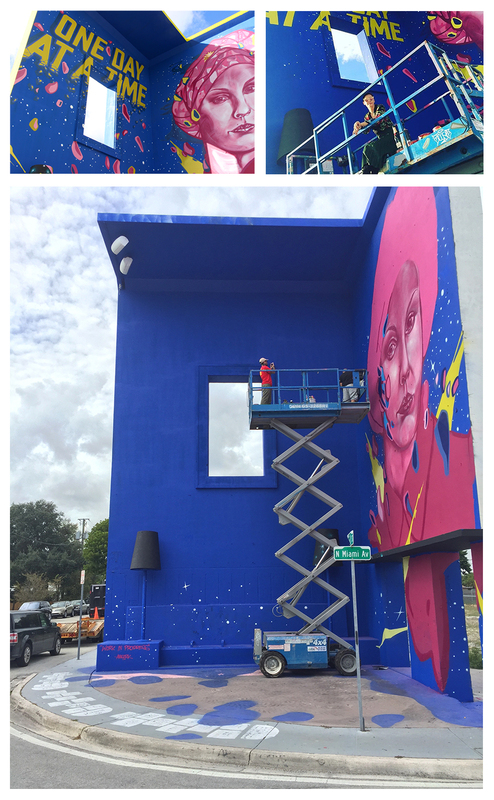 Another Miami-themed mural painted in 48 hours for the new Midpoint development & Locals Only art show in the heart of the real Miami. 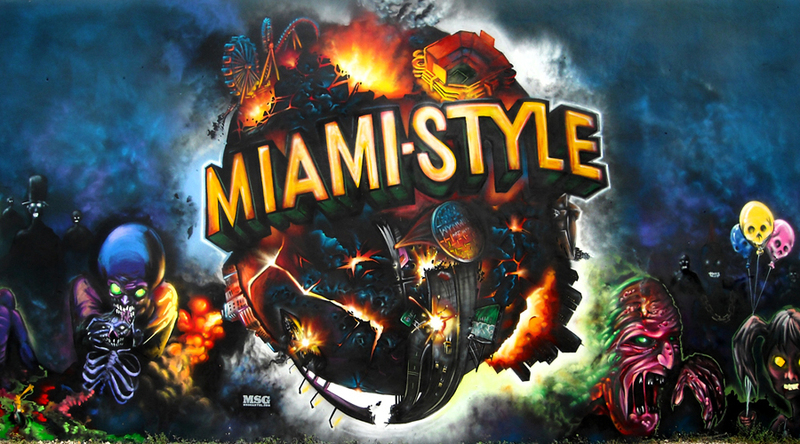 Featuring Abstrk, The Cool Hand, Douglas Hoekzema, Astre74, Arive, Luis Berros, Pucho, Atomik, Quake, Bulk, and Brandon Opalka – amazing lineup, all Miamians! Thanks Doron, Steven Frazier and Jill Weisberg for being awesome. Got this one done just in time for NASCAR’s final race of the season, the Sprint Cup at Homestead Speedway, which was actually won by #4 Kevin Harvick (to our relief, as we painted his number flying away from the other finalists’ numbers!) 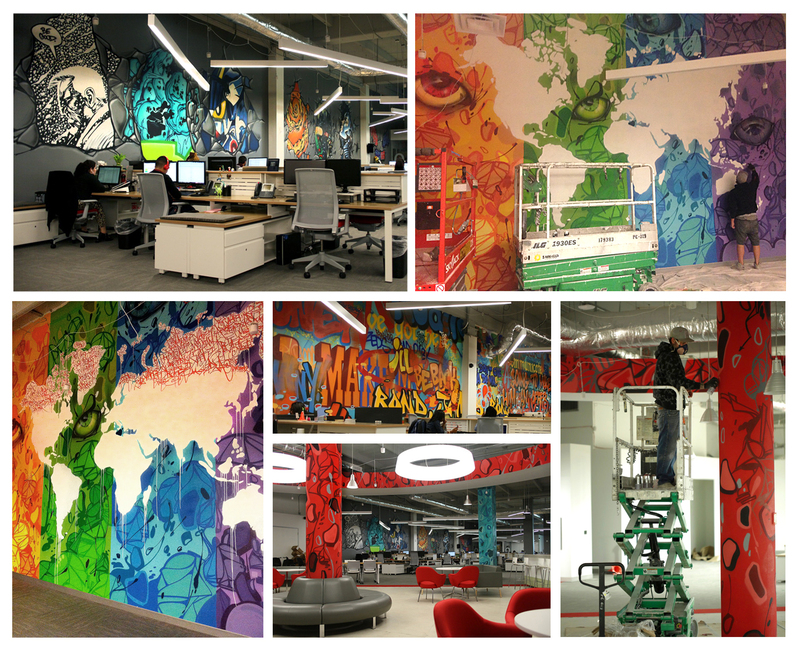 Rush job done in 1 looooong day of non stop painting by Quake and Rage. 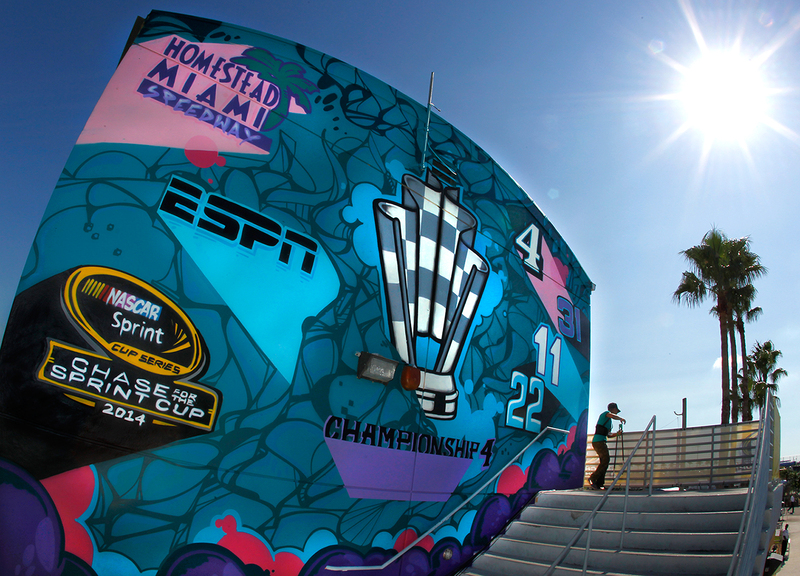 Special thanks to Jill Weisberg for making it all happen, and Kevin at the Speedway for accommodating us. 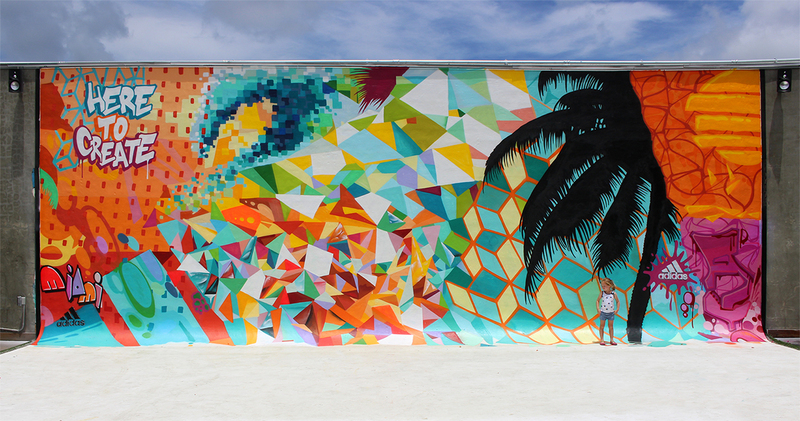 Another monumental wall painted a few years back in Miami’s Wynwood Art District. Inspired by the Zombieland movie poster. Thanks to the whole team for pitching in, particularly Abuse, Enve, Evils, Quake, Arive, Hest, Hox, Pucho, Gere, Edge, Crome, Sefer and Kemo. And to David Lombardi for putting up with us throughout the process. 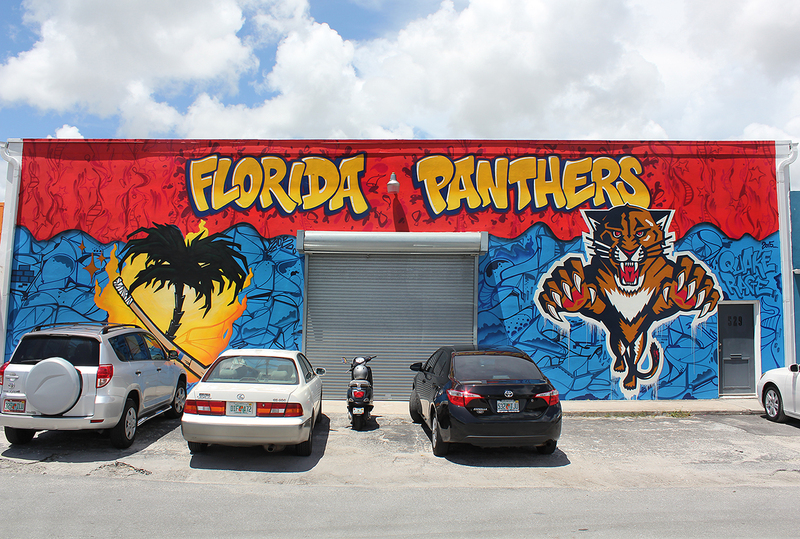 Painted this fun one with the team for a local spray paint distributor, 004 Connec, in Miami’s Wynwood Art District. Thanks Abstrk, Quake, Arive, Crome, Pucho, Cris & the rest of the gang for putting this one together, also thanks to our friend E at 004 for the years of support…Click to enlarge! 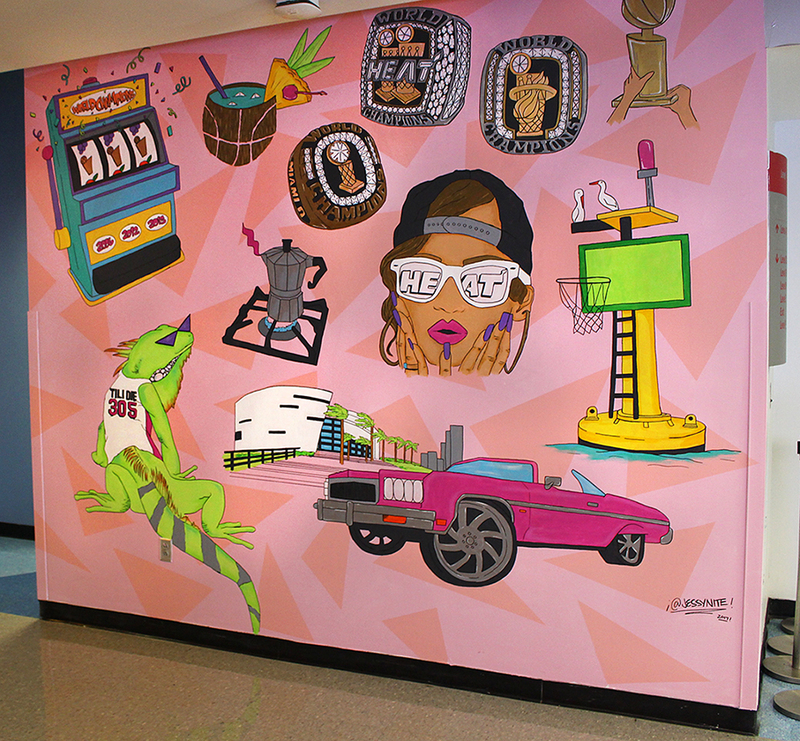 The HistoryMiami museum in Downtown Miami hired us to paint an entire wing of their museum with our own creative vision for a street art inspired show. 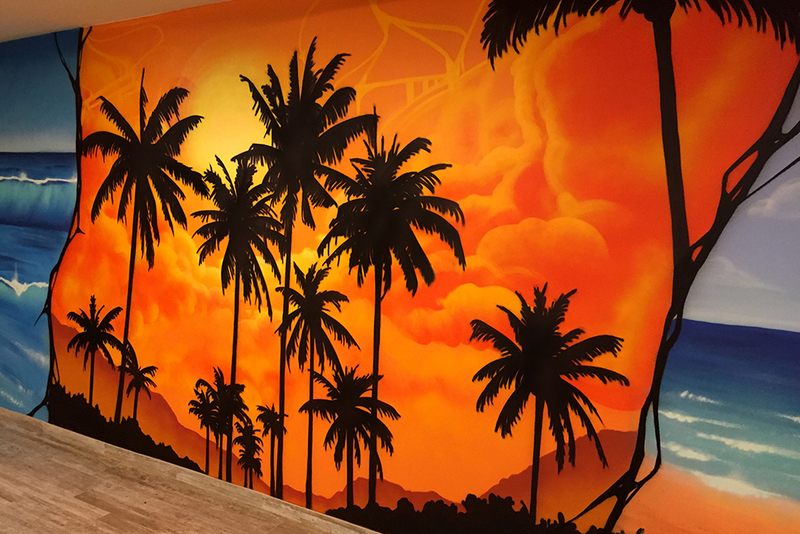 The theme was simply “Miami”…All brushes, no spraypaint, a lot of fun all around. 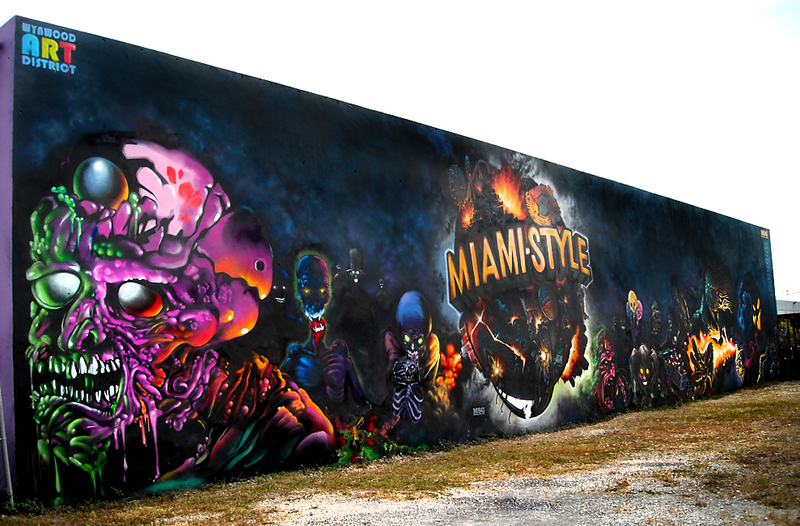 This wall was painted by (in order): Atomik, Santi, Abstrk, Quake, Luis Berros, Astre74, Pucho, and Arive. Special thanks to Brandon Opalka for curating this madness. 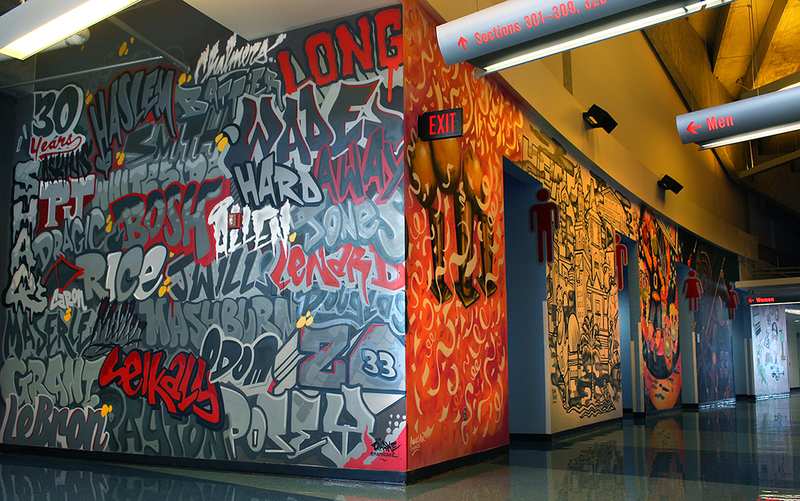 Click on the top pic to view the entire wall!